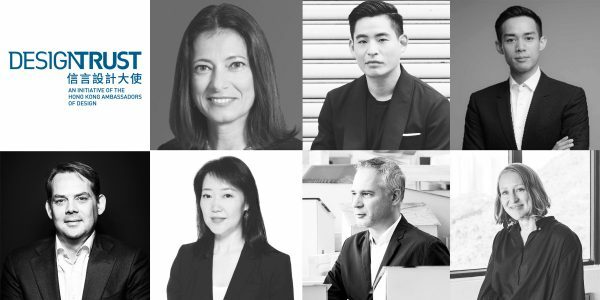 Marisa Yiu (Co-founder/ Executive Director), Alan Lo, (Co-founder/ Chairman), and the Board of Design Trust are excited to welcome three new members to the Board: Gabriela Kennedy, Ivan Pun and Kamsen Lau. In addition, to new members serving on our International Advisory Council and GBA Council: David Gianotten, Irene Lam, Marc Cansier, and Kate Jones. Gabriela Kennedy is a Partner of Mayer Brown and Head of the Asia IP and TMT group. She is also Co-leader of Mayer Brown’s global Intellectual Property practice. She is based in Hong Kong, practising intellectual property, media, information technology and telecommunications law. Gabriela holds various leadership roles in the arts, education and advancement of leadership for women. She served on the Board of the Hong Kong International Literary Festival for 7 years and was Co-chair of the Board for a number of these years. She serves as a mentor for women enrolled in the Leadership Foundation Programme of the International Women's Forum (IWF), on whose global board she serves on. Ivan Pun is a Chinese-Burmese entrepreneur and Founder of Pun + Projects, a firm focused on creating innovative lifestyle and cultural concepts. Born in Hong Kong, Mr Pun was raised between Hong Kong, Yangon and England, where he was educated at the University of Oxford. After working in New York and Beijing in his early 20s, he relocated to Yangon and started Pun + Projects in 2013. Inspired by a love for architecture and urban history, the firm’s projects include the Burmese beerhall Port Autonomy, arts initiative TS1, and Paribawga, a modern furniture design firm that uses local artisans and materials. Kamsen Lau is the Executive Director of Lifestyle International Holdings Limited and formally served as an Executive Director of Lifestyle Properties Development Limited. He is responsible for project management of the Group. Mr. Lau holds a Bachelor of Arts degree from Columbia University in the City of New York and a Master of Arts degree from New York University. He has previously worked in investment banking with a global financial institution in Hong Kong. Mr. Lau is a member of the Advisory Committee and the Board of Trustees of China Institute in America. He is passionate about art and design. David Gianotten is the Managing Partner-Architect of OMA. In his role as acting partner-in-charge of OMA’s Hong Kong and Beijing offices and director of OMA Asia, David leads the firm’s large portfolio in the Asia Pacific region. While stationed in Hong Kong he was responsible for the in 2013 completed Shenzhen Stock Exchange headquarters in Shenzhen, the final stages of the CCTV headquarters in Beijing, and OMA's conceptual masterplan for the West Kowloon Cultural District in Hong Kong. David is also one of the two directors of the recently opened branch office of OMA in Australia. Irene Lam is currently the Head of Public Relations at Cheil Greater China, a marketing agency serving clients such as Samsung Electronics and Volkswagen Brand in China. She was born in Hong and and during her 10 years at Cheil, the agency has grown to employ 800 people in Beijing, 100 people in Shanghai and 80 people in Hong Kong. The agency specialises in PR, ATL, digital, social, content and event marketing. Previously, Irene was the founding editor of Perspective magazine, a monthly publication focusing on architecture and design. Irene is passionate about the arts, and is also currently working to promote emerging Korean artists in Hong Kong and China. She is based between Beijing and Hong Kong. Marc Cansier co-founded Marc & Chantal after arriving Hong Kong in 1993. With a diploma in Graphic Design and Communication from Penninghen School in Paris, Marc has established the company’s brand consultancy services and led the team in a range of integrated projects. The company is now a leading cross-disciplinary brand agency in Hong Kong, with a holistic approach to branding, encompassing strategic consulting, brand creation and experience design. As Creative Director, Marc now focuses on developing the company’s creative direction, brand strategy and place-branding functions. Recently completed projects include the Tai Kwun, Centre for Heritage and Arts, RYSE Hotel (Seoul) and The Hari Hotel (London). Kate Jones, born in New Zealand and based in Hong Kong and Asia for the past 14 years, she works as a Creative and Cultural Director through her company At Liberty Ltd, whose clients vary from NET-A-PORTER & MR PORTER, Massimo De Carlo to Bulthaup. Currently based in Hong Kong, she travels extensively developing projects in places as varied as Japan and Santa Fe, New Mexico and Shenzhen. In addition to her work with At Liberty Kate runs get.give an online retail store born from her passion for craft, storytelling, arts and minimalist living.